The concept of polyphony almost always tends to be associated primarily with the music of Johann Sebastian Bach and his predecessors. However, the approach to composition based on the coordination of multiple voices began to reemerge in early twentieth-century Vienna (a city that was far from a hotbed of polyphony in pre-Classical music history). Restoring the priority of polyphony played a major role in Arnold Schoenberg’s efforts to “emancipate” dissonance; and those efforts would be subsequently reflected in the works of his two best-known pupils, Alban Berg and Anton Webern. Nevertheless, the revival of polyphony did not strike Schoenberg like a bolt from the blue. He would have been well aware of how Gustav Mahler utilized polyphonic thinking, particularly in his works for large orchestra. Mahler, in turn, through his “day job” with the Vienna Court Opera would have been just as aware of how Richard Wagner could use polyphonic approaches to his thematic material to enhance their dramatic effect. As a result, polyphony served as a significant unifying theme, so to speak, last night in Davies Symphony Hall, when Music Director Michael Tilson Thomas (MTT) led the San Francisco Symphony (SFS) in a “preview” performance of the concert program that SFS will take on its three-city tour of Southern California, which will begin this Tuesday. Like the above two paragraphs, that program takes a “reverse flow” approach to music history, beginning with Berg’s violin concerto, followed, after the intermission, by Mahler’s fifth symphony in C-sharp minor. This made for a major undertaking, lasting almost half an hour longer than a “standard” SFS program; but it was easy to lose track of time when the offerings were so stimulating. For those of us going in with knowledge of both of these compositions, it became quickly apparent how powerful this pairing would be. 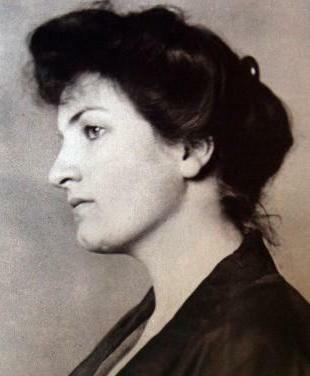 Among those less familiar with it, the Berg concerto is probably best associated with its dedication “to the memory of an angel.” The music was Berg’s response to the news of the death by polio of Manon Gropius, the eighteen-year old girl whose father was the architect Walter Gropius and whose mother was Mahler’s widow. It is easy to take a biographical account of the concerto’s two movements, the first evoking the subject’s carefree childhood (including a Carinthian folk tune) and the second beginning in the shadow of death and steadily working its way to the Acceptance stage as described in Elisabeth Kübler-Ross’ book On Death and Dying (depicted by Bach’s harmonization of a chorale). Those with a little more background know that, in writing this concerto, Berg drew upon Schoenberg’s techniques for working with a twelve-tone row but that he did not follow those techniques rigidly. Indeed, while Schoenberg conceived of the row as a way to make sure that no one pitch class had priority over any other, Berg designed a row rich with triadic implications that entailed such prioritizing. Nevertheless, the score is not so much a journey through the exposition and development of themes as it is an assembly of a diversity of motifs. As in Wagner’s music, these motifs engage among each other through both agreements and conflicts. Furthermore, like Wagner, Berg had particular skill in distributing those motifs across his instrumental resources. Thus, one frequently encounters motifs in superposition through settings that can depict conflict as readily as agreement. It is through that ability to present not only the motifs but also the rich varieties of interplay that Berg displays his thorough understanding of polyphony as he had learned it from Schoenberg’s music; and, just as in Wagner, it is through that interplay that the music serves up its most dramatic qualities. In last night’s performance, with Gil Shaham as violin soloist, the attentive listener quickly discovered that there was also a spatial factor in how Berg deployed his motifs. Again as in Wagner, motifs are often associated with specific instruments, which means that, in a concert setting (as opposed to listening to a recording), that attentive listener begins to be aware of the physical layout of those instruments. Furthermore, it is through spatial coordination, rather than traditional “point-against-point” thinking, that one appreciates not only the motifs themselves but also how they engage with each other, revealing yet another dimension of those Wagnerian dramatic qualities. Shaham’s appreciation of that interplay makes him one of the best advocates for Berg’s concerto among the current crop of violinists. Through his understanding of the drama that emerges through the interplay of motifs, he knows that his violin part is not always in the foreground. As a result, when the drama calls for it, his playing can weave its way among the other motifs coming from the ensemble. He appreciates that every one of the instruments in Berg’s score has, at some time or another, a “role to play” through expressing one or more of those motifs. The solo part is just another one of those roles; and, like just about any other dramatic part, it does not spend all of its time in the spotlight. This approach to Berg’s concerto provided an excellent context for listening to Mahler’s symphony. Once again, this is music that expresses itself through motifs, rather than through traditional themes. Furthermore, the full extent of orchestral resources is engaged in deploying those motifs. Thus, the attentive listener quickly appreciates that the spatial distribution of those resources is as meaningful in Mahler as it was in the Berg concerto. The one factor that distinguishes the two compositions is the overall sense of flow within which those motifs emerge. While both compositions are products of intense dramatic expression, there is a jaggedness to Berg’s rhetoric that contrasts with the smoother flow encountered in Mahler. Indeed, one of Mahler’s greatest gifts is his ability to allow a motif to flow from one instrumental voice to another as it is being expressed. MTT clearly comprehended the distinction between these two strategies, and he knew how to give each of them its due attention. As a result, the attentive listener could come away from last night’s performance appreciating that the similarities across these two compositions are just as rhetorically significant as their differences.